Through the third level, or third degree, Reiki course the student becomes a Reiki Master, who can then take responsibility for attuning others to Reiki and teaching the three degrees. In the Cerchiodiluce association, the Reiki Masters are Camilla Guillaume and Cristiana Catino. View their profiles below. In 1994 she qualified as a Usui Shiki Ryoho Reiki Master with SW.Ajad. 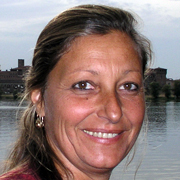 Since 1995 she has held Reiki seminars in Turin and throughout Italy (first and second degree and master training). She set up and is in charge of the Reiki workshop which she has run on a weekly basis since 1995; the annual specialisation course is organised within the framework of the workshop. In 1997 she met Reiki Master Fran Brown, from whom she drew inspiration. From 2000 on she has been attending courses on topics connected with the quality of accompaniment and care of the terminally ill, “Vivere il morire” (Experiencing death) with Sergio Messina, “Preparazione all’accompagnamento delle persone in fin di vita”(Preparation for accompanying the dying) with the Associazione il Bruco e la Farfalla, and since 2002 has continued to attend those held by Frank Ostaseski, founder of the Zen Hospice in San Francisco and the Metta Institute. Since 2002 she has been president of the Cerchiodiluce cultural association and is in charge of the lifelong learning of Reiki practitioners working in hospitals. In April 2006 and 2008 she gave lectures at the Università Casa Divina Provvidenza in Turin during the study day on the theme of “Complementary therapies in nursing”. In October 2007 she was a Reiki Master speaker at the study day on “Complementary treatment, the profession evolves” organised by CESPI (Health Professions Study Centre). 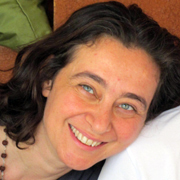 Since 2009 she has been a Continuing Medical Education (CME) teacher as a Reiki Master for first degree Reiki seminars organised by the San Giovanni Battista University Hospital of Turin. She has been teaching Yoga since 1993 and meditation since 1995. Since 2009 she has been a Psych-k © facilitator. She was trained and taught practices by: Sri Mata Amritanandamayi Devi, whom she has met every year since 1994, Swami Niranjanananda Saraswati, His Holiness the Dalai Lama, the Zen monk Ven. Thich Nhat Hanh and the Tibetan master Sogyal Rinpoche. Since 2009 she has been a Continuing Medical Education (CME) teacher as Reiki Master for first degree Reiki seminars organised by the San Giovanni Battista University Hospital of Turin. She has been a Psych-k © facilitator since 2009. She has met and received spiritual and meditative instruction from Mata Amritanandamayi, His Holiness the Dalai Lama and the Tibetan master Sogyal Rimpoche.